Coffee table in your living room, drawing room, office and in garden can be very appealing element and if it is made of pallet wood, it can really give a rustic look to your surrounding. To have such a nice piece of wooden table, you don’t need to spend huge money on expensive wood stuff. Just make your choice among pallets wood of multiple appearances and textures. This ordinary considered stuff of wood has really won the hearts of people who love to have wooden furniture in their homes. 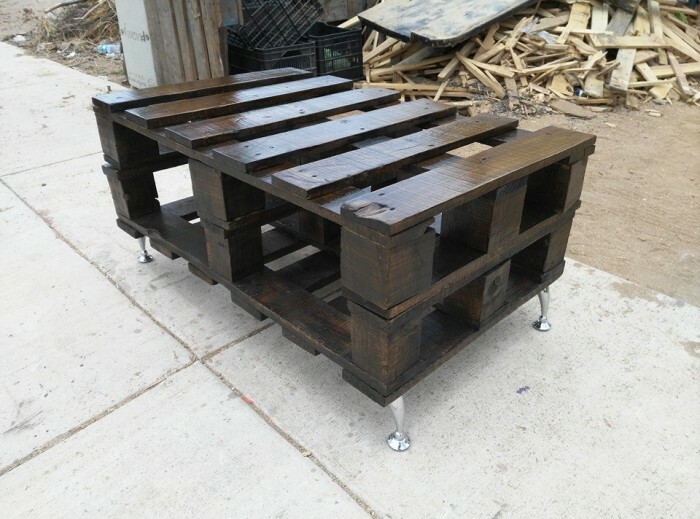 A beautiful coffee table can be constructed using discarded pieces of pallet wood. You can find out hundreds of ideas to make coffee table look more attractive and of unique design. Coffee tables can be created as storage coffee table, planter coffee table; in smaller and larger sizes depends on your choices. The design of coffee table that is shown here is really unique and looking very attractive. Moreover, texture and color of pallet wood is also very nice. 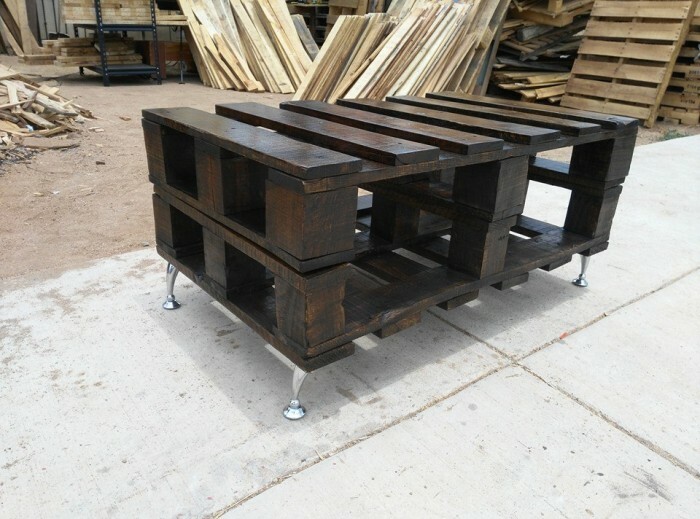 You can easily follow the given design and style of pallet made rustic coffee table to create it for your own home. 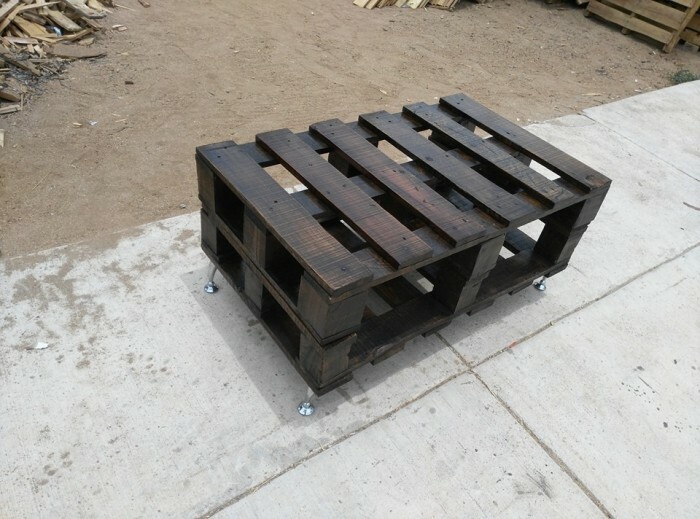 Dealing with pallet wood is not hard so far as you just need to be aware of basic carpentry skills and to make use of your ideas to put into your pallet creation and crafts. The given pictures of rustic coffee table can surely be a good guide for you to learn the way to make such a nice pieces of coffee table at your home. Pieces of pallet wood are jointed in such a nice way to make this beautiful coffee table. 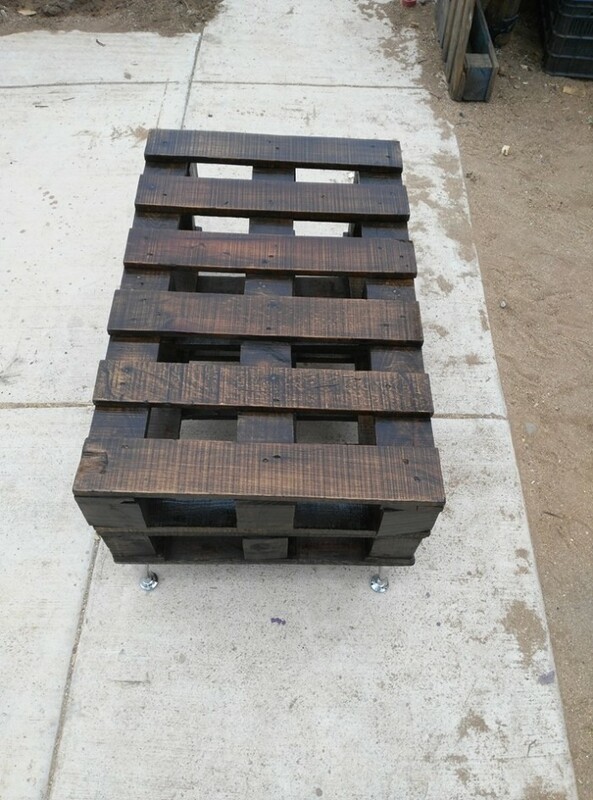 Pallet wood has become very useful to make other sorts of wooden furniture for domestic and commercial uses and this is really a cost effective element of the economy of an individual.